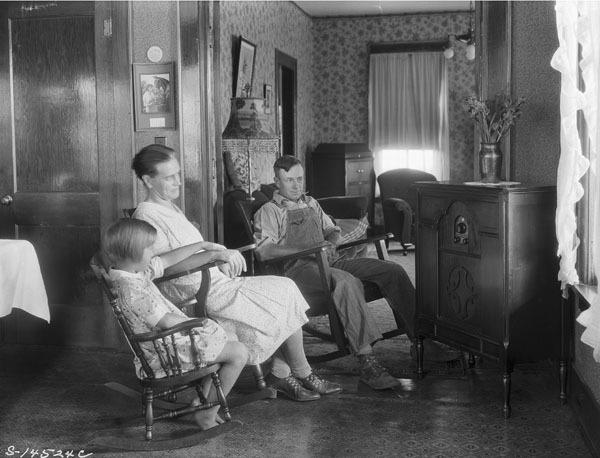 A Quick Glance At The Early History Of The Television Set – Wait, I Know This! I would venture to say that there are only a handful of households that don’t have televisions these days. Wow, was it a different story back in the 1940s. 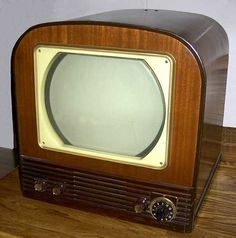 My dad was a teen in the 40s and was forever telling me that when someone got a TV set in the neighborhood back then everyonbe flocked to their home to see the thing! The days of families huddled around the radio for entertainment were slowly fading to black. In 1947 RCA mass produced a 7 inch TV and 170,000 of them sold. By 1949, 1 million sets had been sold. 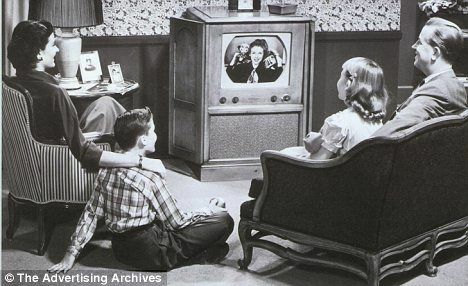 As the Fifties progressed the post-war boom included both babies and TV. In 1950 there are about 10 million sets in the U.S.
By 1953 the FCC had se the technical specifications for color but broadcasting in color was expensive and few people had replaced their black and white sets with color ones. After all, most of them had shelled out big bucks just a few years earlier to get the black and white set. This would quickly change. By 1962 a million color sets had sold, by 1965, 5 million were sold. It was also in the mid 60’s when the networks had gone to color. By 1970 there were 37 million color sets in the U.S.
Nielsen estimates that today there are more than 290 million televisions in the U.S. and more than half of the homes have 3 or more! I don’t think anyone in the 1950s could’ve imagined that.